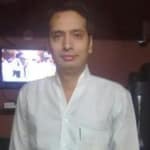 Dr. Himanshu Saluja is an experienced Physiotherapist in Vaishali, Ghaziabad. He has been a successful Physiotherapist for the last 10 years. He studied and completed Certification in Manual Therapy, MPTh/MPT, BPTh/BPT . He is currently practising at Harshimran Physiotherapy & Rehabilitation Clinic in Vaishali, Ghaziabad. Book an appointment online with Dr. Himanshu Saluja and consult privately on Lybrate.com. Lybrate.com has a nexus of the most experienced Physiotherapists in India. You will find Physiotherapists with more than 42 years of experience on Lybrate.com. Find the best Physiotherapists online in Ghaziabad. View the profile of medical specialists and their reviews from other patients to make an informed decision. I am 60 year old lad. I have knee pain since last two months during use of staircase. X-ray shows start of osteo arthritis. Is it possible to improve my condition by doing exercises? Yes it is definately possible to control it by exercises. Osteoarthirits is a degenrative disorder. It can be controlled by professionaly designed physiotherapeutic exercises by restoring the balance between all the muscles around the knee thus preventing erosion of the joints. Exercises will prevent its speedy deterioration and improve quality of life. And yes painkillers are not the solution. Complete tear of anterior cruciate ligament is seen with retraction of its fibres Will it cure by physiotherapy. Complete tear of acl requires an orthopaedic surgeon intervention. It might be fixed by reconstruction by graft. But it is solely on the discern of orthopaedician. But yes after the surgery physiotherapy plays a major role to put you back in life and to improve your quality of life.